See more objects with the tag transport, make, prosperity, prosper. This is a Project. It was architect: Doung Anwar Jahangeer, dala and Moses Gwiba. It is dated 2001–2013. 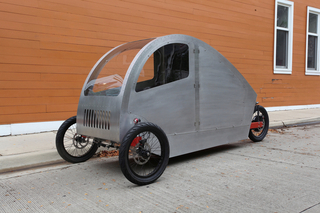 Its medium is galvanized steel, mild steel (prototype). 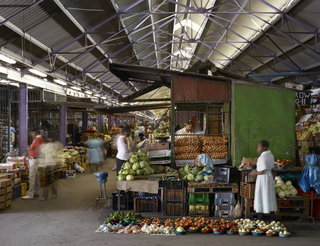 In South Africa, hundreds of thousands of workers commute daily from the outlying townships or informal settlements into the cities, giving rise to street vendors. 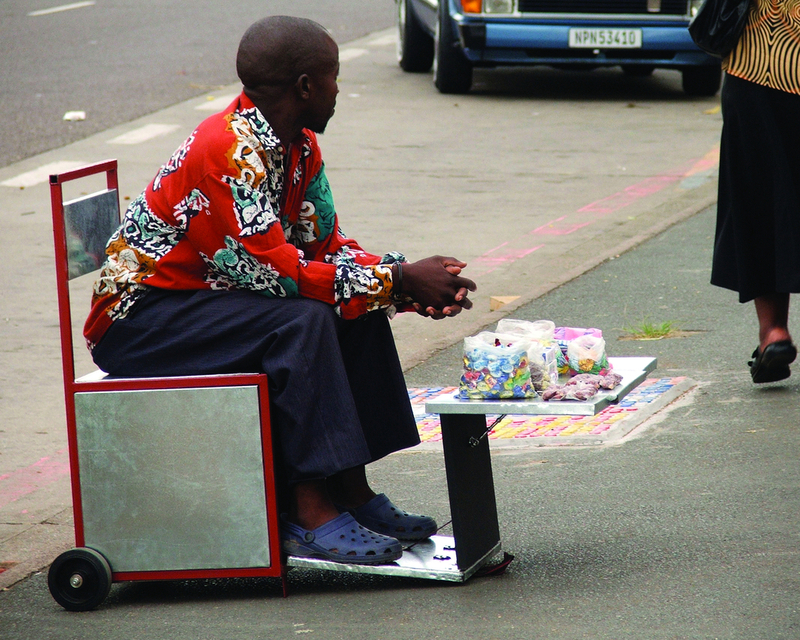 The Spaza-de-Move-on is a metal cart designed to give vendors dignity, convenience, and relief in the streets of Durban. The design incorporates a seat, trolley handle, wheels, storage area, and foldout display table. 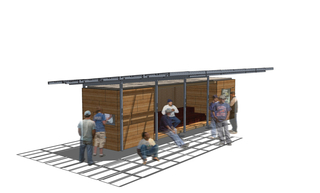 Its evolution involved bottom-up collaboration between architect Doung Anwar Jahangeer, street vendor Moses Gwiba, and South African collective Dala. Jahangeer’s work embodies a philosophy of “architecture without walls,” exploring urban spaces that unite. For Dala, a South African creative collective, Spaza-de-Move-on is an initiative that explores informal livelihoods and entrepreneurial networks.